You sent 3 deserving Nepali students to college! In only one month, you helped us raise over $4,000 to send these three students to college. Because we exceeded our goal, these students are not only prepared to study this year, but they have money in the bank that will be saved for next year's college costs and beyond. Thank you! 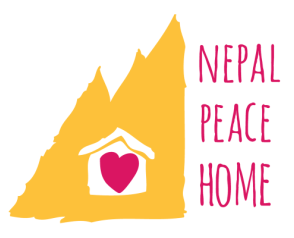 If you are interested in funding a specific child's college education, please contact us at info@nepalpeacehome.org, with the subject line, "College." Visit our Indiegogo campaign today to read more about these accomplished students. Read more about college in Nepal below. After completing high school in Nepal, promising students apply to a two-year pre-college, known in Nepal as "Plus-Two." After completing Plus Two, students are eligible to apply to a four-year university or college. When Saroj started Nepal Peace Home, he needed to prioritize the children's immediate care, which did not include raising money for college. In the Spring of 2014, the first student to graduate secondary school, Nima Tamang, was ready to go to Plus Two. Generous donors like you gave over $1,200 in less than two weeks! This covered one full year of tuition and living expenses for Nima. Nima is studying science and is working hard. He also gets to live with one of his closest childhood friends. In the class of 2016, four more students will graduate. Our high school graduate numbers will only continue to grow, since most of the children living at Nepal Peace Home are currently elementary-middle school age. Please help us raise money for these amazing leaders so their education does not end after high school. For less than $3 a day, you can help change the course of these students' lives.